I love photography so much because I never know what I will find. I pray and ask the Lord to show me or to bring to me what He wants me to photograph. He blesses me all the time, and I am hardly disappointed. Oh, the stories of neat miracles I could share with you! Where did 2016 go? This year has flown back quicker than any year! 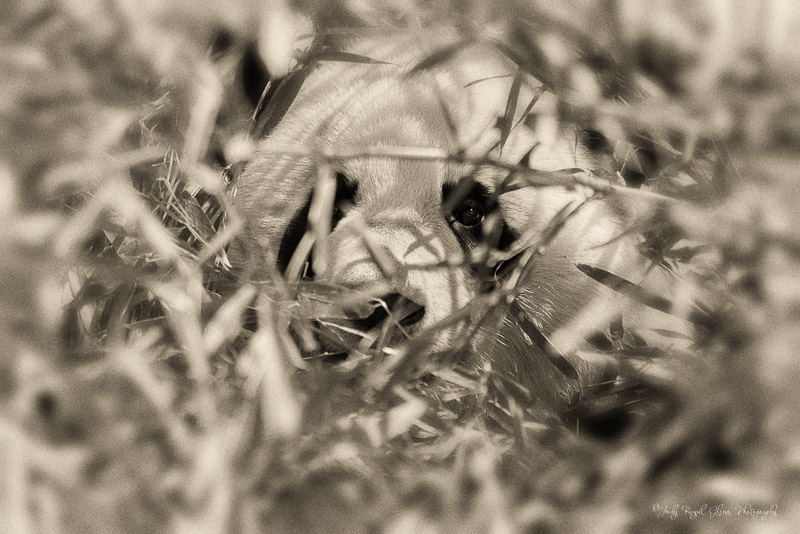 I have been extremely busy with my photography, writing and caring for my husband’s aunt. There aren’t enough hours in the day, and my requests asking my husband to add 24 more hours to my day has not been fulfilled yet. At one point, I got really frustrated with my lack of time but knew the Lord would not want me to be that way. I changed my mindset and told myself I would get what I could accomplish each day, and I'd be okay. The Lord has blessed my photography, and He continues to amaze me with what He brings me to photograph. I am truly thankful for all He does for me! I went shooting with a fellow friend Emory for this shot. 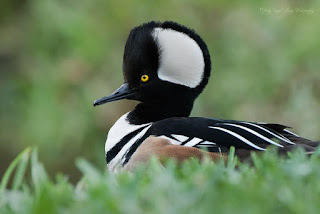 We went to photograph the merganser ducks (one of my favorites) and Driftwood beach at night! 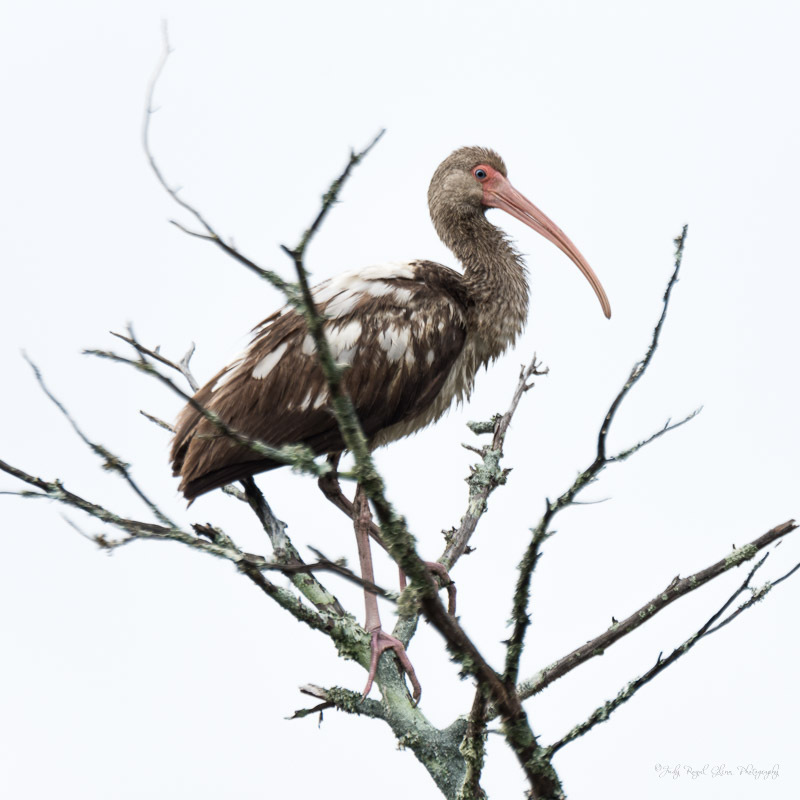 He allowed me to shoot with his 600mm lens. If you aren't familiar with how big that is, imagine looking through a lens that is about the same diameter as a small basketball. It's ginormous! I wanted to repost this photograph I took last November to wish you a Merry Christmas. The title of this photograph is: "Moonlit Christmas Tree on Driftwood Beach." To learn how I took this photograph click here. 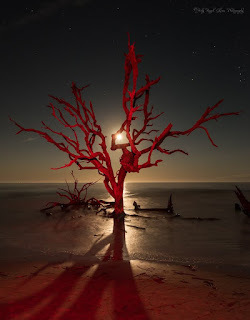 I am excited once again to photograph with Emory on Jekyll this weekend. He is the master of light painting and star trails. He helped me light paint this tree. If you’ve never seen a frost flower, you are missing out! Frost flowers aren’t real flowers; they are beautifully sculpted from the frozen sap of a vegetation called white crownbeard. When conditions are right with temperatures in the twenties, and the right amount of rain, the sap pushes out and forms ribbons of ice. As a photographer, I love witnessing their beauty, but it does come at the sacrifice enduring the cold temps and wind chill. 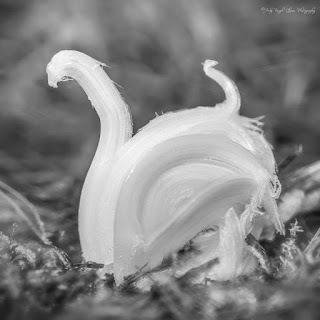 The Lord knows my favorite thing to photograph are birds, so it came to no surprise to find a frost flower in the shape of a swan. I have to say I was astonished! I love the miracles He shows me! This photo was taken in 2015. I am looking forward to photographing them again this winter. It's been a while since I've been to Zoo Atlanta, but I loved photographing all the animals while I was there! I think I could photograph for a few days before I would tire from shooting. Now is the perfect time to visit the zoo to see the giant panda twins La Lun & Xi Lun! 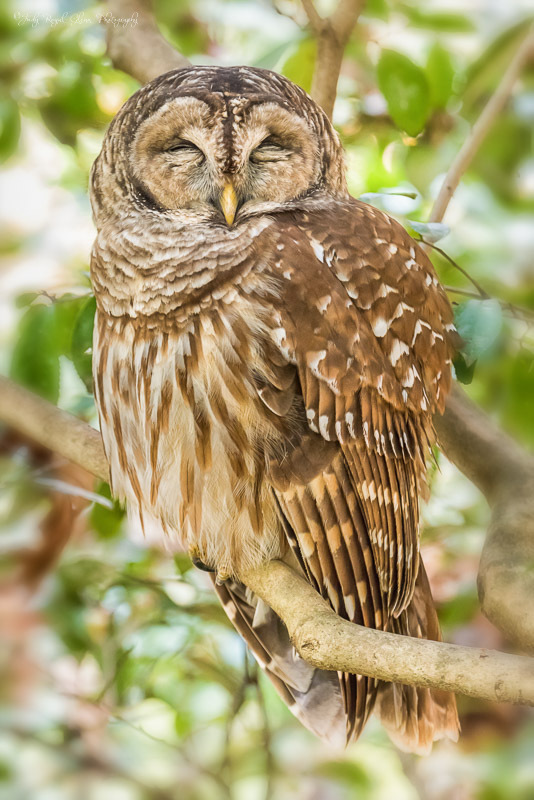 Recently, I had the privilege of standing about 15 feet away from this beautiful barred owl for over three hours. He was tired from a long night of hunting and enjoyed resting in this small tree. I did not just walk up and find him. One thing led to another. I went to the garden to photograph objects using a long shutter speed, but I heard a new bird call and set out to find it. Looking for the bird led me to a cute chipmunk to photograph. A flash of motion in the distance caught my eye. 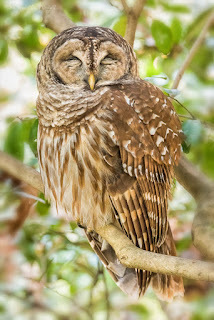 It was the barred owl that then became my new subject to photograph. As I have mentioned before, I pray before I go out to shoot and ask the Lord to show me or bring to me what He wants me to photograph. I am amazed at the beautiful creatures and delightful things in nature He allows me to photograph! A friend and I began our hike to Panther Creek Falls at 9:00 a.m. only to arrive back at our cars at 7:00 p.m. A seven mile hike should not take that long—the only problem is we both love photography. We found wonderful things to photograph among the way. The yellow color of this fern stopped me in my tracks. 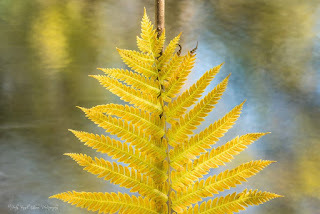 The fern was by the creek, and the fall colors reflected in the water were beautiful.